Non-surgical browlift, midface lift, lip-corner lift Archives | Enhance Medical Center, Inc. Non surgical browlift and non surgical midfacelift with almost no downtime using a combination of filler and Botox (R). 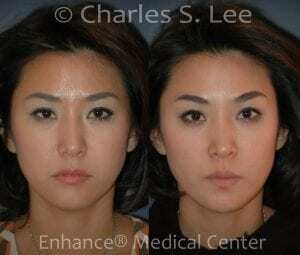 Treatment of the “tear-trough” midface particularly common in Asian patients.